Modernize the look of your living room with this eye-catching cocktail table. 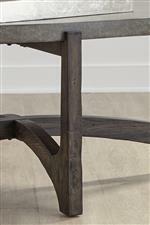 Perfect for a more contemporary home or your downtown apartment, the combination of the interlocking wood legs and the concrete composite top creates an unique look that your guests won't be able to ignore. 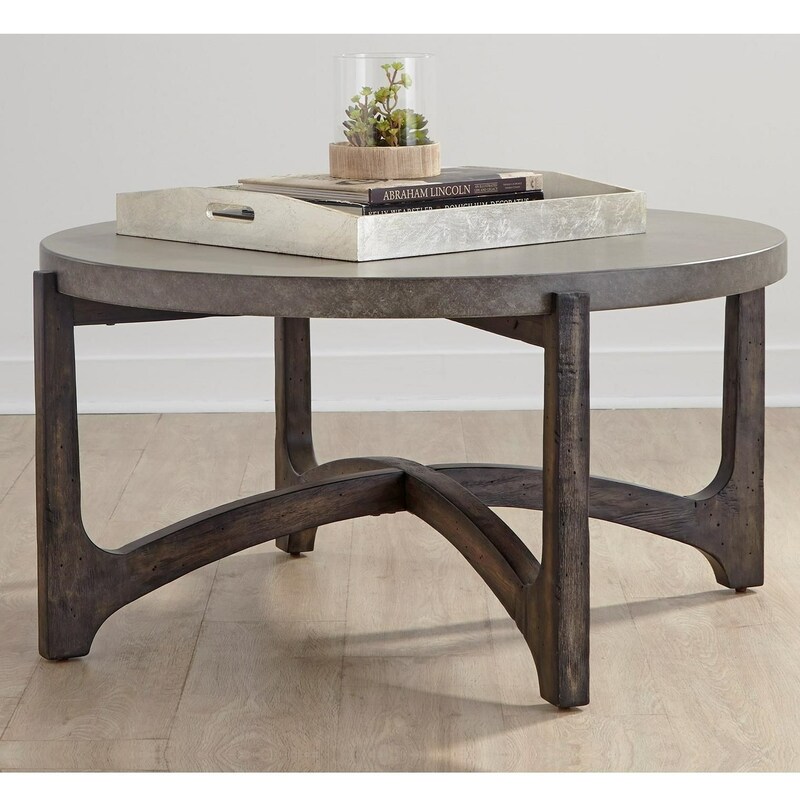 The Cascade Contemporary Round Cocktail Table by Liberty Furniture at Miskelly Furniture in the Jackson, Pearl, Madison, Ridgeland, Flowood Mississippi area. Product availability may vary. Contact us for the most current availability on this product.